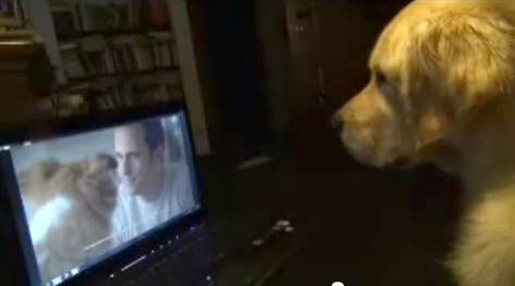 Now, Beneful has created a television ad aimed at our dogs and humans - because we're the ones who love to watch our dogs watch TV, right? The 23-second ad, about to launch in Austria, makes squeaky sounds like the sound of dog toys, high pitched sounds like dog whistles, and various other sounds that only dogs can hear, although in this preview, those sounds are added for your bene(fit). Great! Subliminal advertising aimed at our dogs. I'm so glad I have TIVO! Steve sent me this tip from The Daily Mail and The Inspriation Room. Thanks, Steve! Wow - advertisers WILL try anything to increase sales. I just played the spot with the high pitched sounds and 1 of my 3 dogs was totally intrigued. Would I buy the product - probably - just so my dog could see what all the noise was about! What will the dogs do, nag their owners? It's not as if they have any money, even an allowance. I think this is more a gimmick to reach the people by generating word of mouth publicity. 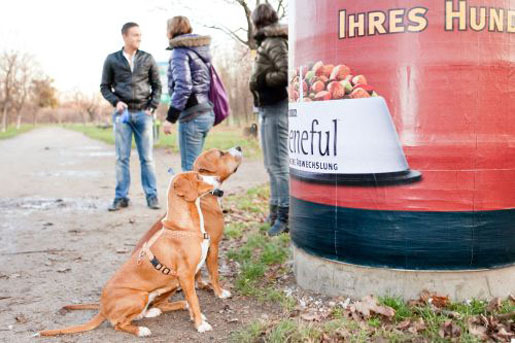 Valuable informations for them who have been searching healthy and nutritious foods for their dogs.Advertising this type of product in very artistically manner is incredible way to make it effective among the viewers.